Huddled together to eat by the fire. Son who had died for them, teaching of love. Very much happiness to celebrate. Native folks killed, forced to flee or to fight. drive. The loaded truck is weighed. arrive. In 20 seconds each train car is filled. given to the driver. Shift, accelerate, and steer…go get another load. From 6 a.m.
but it is happy work. Published with apologies to Steve for insertion of … in place of indentation. globe to show the sun. As of this moment, 107,850 Graham FaceBook followers “Like” it and 12,373 have “shared” it. I posted this comment on the FaceBook post. “I’m sorry, sir, but you have yet to do your homework, and your statement “End of discussion” separates you from the more humble approach of the father whose name you proudly bear. Without interpretation and re-interpretation those who take the Bible at face value should also hold steadfast to the cosmology of a flat earth. As a Presbyterian (USA) pastor since 1967, I have watched and heard the debates about the nature of human sexuality since 1979. The discussion within the church have not been without rancor or turmoil, but I’m proud that my church has had the courage to look at human sexuality and biblical hermeneutics through the lens of “the rule of love” not hate, separation, exclusion, or one’s own righteousness. As a pastor who began hearing the stories of gay church members many years ago, I sensed that the prevailing view of homosexuality as a sickness and/or sin was off the mark and damaging to the heterosexual majority no less than the homosexual minority. There is no distinction at the baptismal font. No distinction allowed at the Lord’s table. And, at long last, I am now free, according to the Constitution of the Presbyterian Church (U.S.A.) to make no such distinction at the kneeling bench before the altar. Even though all is vegan food? Delicious, each bite of the pies! Nice, the waiters are always nice! Never cooked from any other! Good! And never had a mother! Delicious, I use the word twice! Orange, apple, grape, amazing juice! Good wine and beer, let’s give a cheer! – Steve Shoemaker, Urbana, IL, Dec. 4, 2014. 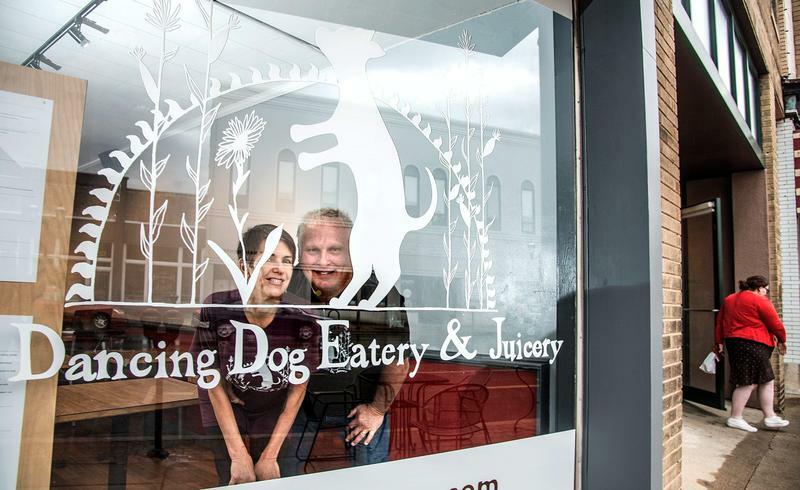 The Dancing Dog is in Urbana, IL. Here’s a link to the restaurant. Unless they will win the draw. Drank some scotch, then sang again! Let’s have an other child! 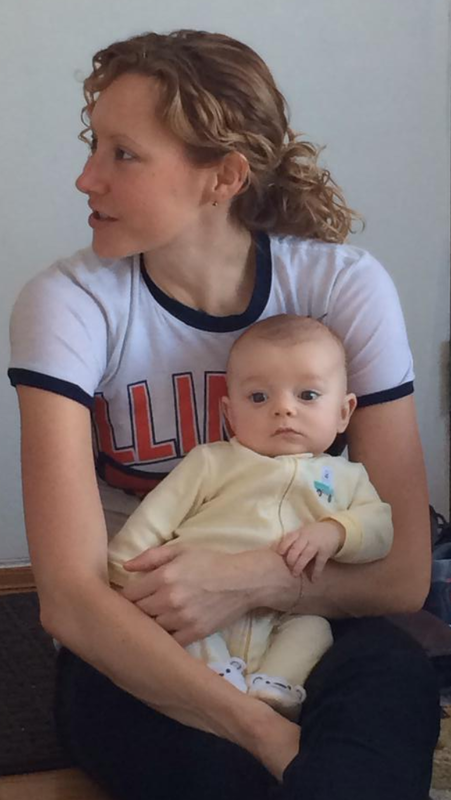 NOTE: Four month old Owen, with mom, Lindsay Ramsey Shoemaker, spouse of Christopher Shoemaker, Steve’s nephew. Yet we would gather, drink, and play. We danced and laughed our fears to cure.